OK, so maybe it doesn't deserve a break. Conducted by DHS "Red Teams" over an undisclosed period of time, these undercover tests were an effort to spot-check the TSA by attempting to smuggle various contraband items through security checkpoints at airports across the United States. 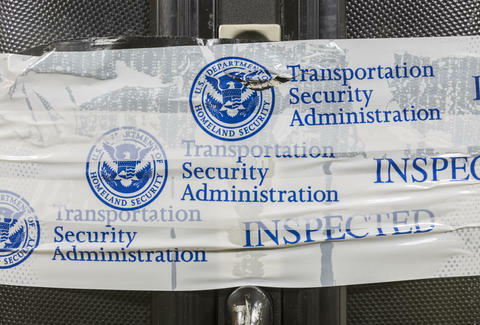 Of the 70 tests conducted, the TSA failed a whopping 67 of them. That's gotta be a record or something. In fact, the DHS tests found no discernible improvements in the six years since its previous review in 2009, despite the TSA spending $540 million on new baggage screening equipment and $11 million on training. Here's a disheartening example: in one of the 67 tests, an undercover Red Team agent managed to pass through security with a fake bomb taped to his back. Despite setting off an alarm on one of the TSA's screening devices, they still got the all-clear after screeners performed a pat-down and failed to discover the (again, fake) explosive device. Woof. In light of these pathetic lapses in security, the DHS announced the current Acting TSA Director would be reassigned to the Office of State and Local Law Enforcement -- in other words, there'd be little to no accountability. The full DHS report on the TSA tests is still being compiled, meanwhile, and will likely be released sometime this summer.